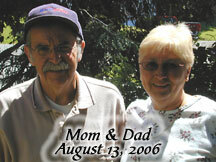 "Had a Dad" Alzheimer's Blog: 114 medical news round-up--lots o' new info! 114 medical news round-up--lots o' new info! One thing I didn't mention in my last post. When my mom finally got home from the hospital, my dad just kept hugging her and wouldn't let her go. Not like a husband who loves and misses his beloved wife, but like a child who lost his mother. So sad. He understands that he is completely dependent on her. And "that girl" of course, whoever she is. A chemical designed by doctors in Los Angeles could give unprecedented insight into the ravages of Alzheimer's disease and provide a new way to test for treatments....Previously the only way to determine if a person suffers from the devastating brain ailment has been to remove some brain tissue or with an autopsy. The new study by doctors at the University of California, Los Angeles, is part of a larger quest to find a better method to diagnose the condition using tracers that can be detected with a positron emission tomography, or PET, scan. Finding an easier way to track brain deterioration not only would help doctors diagnose the disease, it could become easier to assess experimental Alzheimer's treatments, as researchers try to prevent the accumulation of plaques and tangles, or to reduce them if they accumulate. That's exactly what the study my dad's in is trying to do. Too bad this technology wasn't already available. They could be doing this instead of all those MRI's and mental tests. What a great boon this will be both to research and to those fearing they have the disease. Scientists appear to have found a fingerprint of Alzheimer's disease lurking in patients' spinal fluid, a step toward a long-awaited test for the memory-robbing disease that today can be diagnosed definitively only at autopsy. Researchers ... discovered a pattern of 23 proteins floating in spinal fluid that, in very preliminary testing, seems to identify Alzheimer's — not perfectly, but with pretty good accuracy. Scientists believe that Alzheimer's begins its insidious brain attack years, even decades, before forgetfulness appears — and if so, there should be evidence of those changes in the spinal fluid. It's great that everyone's going for early diagnosis....but there's still no damn cure, still no REAL treatment that halts the progress or reverses the damage. (I)t is possible that (this) antibody could be used as a preventative treatment to protect people at high risk of Alzheimer's Disease through their family history or other factors... The team believes that a form of the antibody could be used as a treatment to reduce A* build-up in the brain, improving the patient's memory and quality of life. Some scary science stuff in there (well, not scary, just unknown to me). But it sounds interesting. I wonder if the "vaccine" they pour into my dad's veins works on the same principle? Modest neuroprotective effects caused by education and intellectual activity at the cellular level may lead to dramatic reductions in the number of cases of Alzheimer's....The study suggests that the most effective neuroprotective therapy for Alzheimer's disease may be education and intellectual activity, and not a pill. The researchers say that mounting evidence accumulated over the last few years support the notion that intellectual activity increases what neuroscientists call "the cognitive reserve". According to the model, a mere five per cent increase in the cognitive reserve in the general population may prevent one third of Alzheimer's cases. So all those dumb matching and video games I play might someday save my brain? All the reading and writing and art? God, I hope so. A team of South Korean scientists said Wednesday they have discovered a crucial factor in the formation of Alzheimer's disease, a finding likely to help develop a treatment for the neuro-degenerative disorder...The team...discovered that the density of PIP2, a type of an organic compound forming the base of brain cells, plays a crucial part in the inherited form of the disease....The familial type is known to be formed from an overflow of proteins called beta amyloid in brain cells among people with mutated presenilin, another protein. However, scientists in the past could not find the correlation between the two proteins. The team discovered that the density of PIP2 plays a key role in controlling the level of the two proteins, and that mutations of presenilin led to an increase in PIP2 density, while an artificial increase in the PIP2 density caused a fall in beta amyloids...(A) cure for the disease could be produced when and if we figure out how to control the concentration of PIP2. More science. I wish I understood it better. Men with higher levels of the hormone testosterone could be more resistant to Alzheimer's disease, a new study claims. US scientists say they have discovered a direct link between a lack of the male hormone and the onset of similar neurodegenerative diseases in mice. That's pretty straight forward. And testosterone is already an approved drug. What's the hold-up? It can't HURT can it? If you opt for a glass of pomegranate juice, you may be staving off Alzheimer's disease...pomegranates, when compared to other fruits and vegetables, pack notably high levels of polyphenols. Polyphenols, according to researchers, are one of many antioxidants known to neutralize the harmful effects of free radicals, which attack healthy human cells and cause them to mutate into cancer cells. Free radicals have also been linked to triggering arthritis, atherosclerosis, diabetes, premature aging, and Alzheimer's disease. Scientists have discovered a new treatment for people suffering from diseases including Alzheimer's, dementia and depression involving stimulating the brain to produce more nerve cells. Starts out good, but then it never really says anything, including how stem cells can help. I'm leaving it in because it's Yule and I feel generous. Anyway, that's all news from the last COUPLE of days. Amazing. 113 "what are you doing here?"